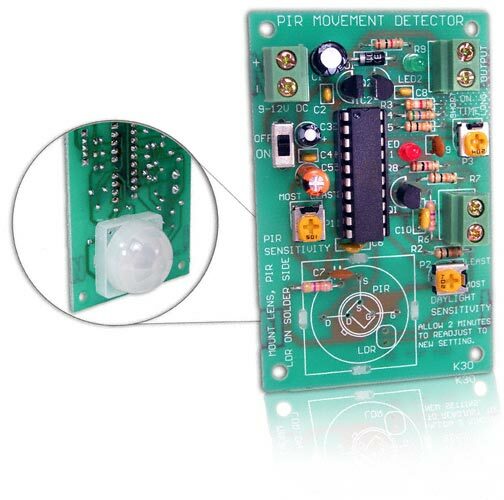 PIR Movement Detector Kit – CK0206. Soldering Required. This PIR Movement Detector Kit is an excellent security device, it senses infra red heat of intruder in field of view. The IC has the built in functions of motion sensitivity, light sensitivity and delay off timing. When tripped an LED indicator lights and a voltage out is activated to sound your siren, or you can add a relay to switch larger loads. “Sees” up to 18 feet. This PIR Movement Detector Kit is an excellent security device, it senses infra red heat of intruder in field of view. This recent design for a PIR detector should not be under estimated. 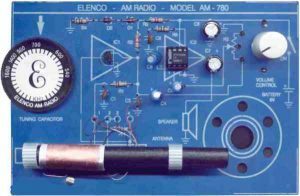 Rather than the usual op-amps and amplifiers, this kit uses the RE200B PIR Sensor and the KC778B Master PIR Control Chip (MPCC). This IC has the built in functions of motion sensitivity, light sensitivity and delay off timing. 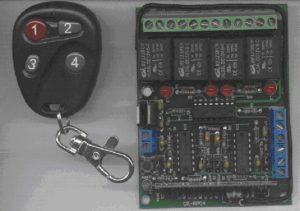 When tripped an LED indicator lights and a voltage out is activated to sound your siren, or you can add a relay to switch larger loads. “Sees” up to 18 feet. DIY K30. 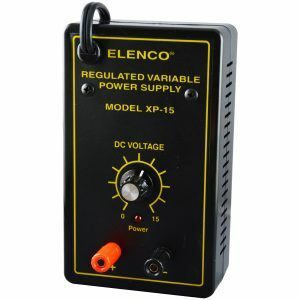 Power: 9 – 12 VDC @ 300 mA. Light sensitivity Adj. for Day/Night use. 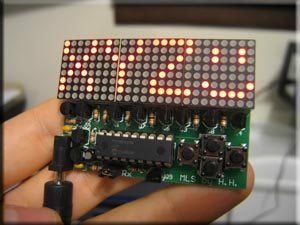 LED indicator when motion is detected, and voltage output to trigger your choice of output (i.e. siren, light, relay etc…).